Child Development - Tesh, Inc. The After School Program promotes self-esteem by celebrating the unique abilities of each child. We support developing necessary life skills that promote optimum independence and success. Children involved in this program are at a crucial point in self-development. The goal of the program is to provide a one-on-one learning opportunity for each child in a positive atmosphere. A child between the ages of 4 and 18 determined to have a developmental disability. The after school program is available at Tesh or in the community. Tesh is available to work with parents, guardians, care-givers, teachers, school systems and others involved in the life of an eligible individual—whether funded through Medicaid or self-pay. Registration: Opens February 1, 2018 and runs until April 1, 2018. There is a waiting list for this program so please sign up early! Come celebrate the days of summer with us! This summer program at Tesh provides opportunities for children with special needs to have a wonderful summer in a 1 on 1 setting with coordinated community activities. 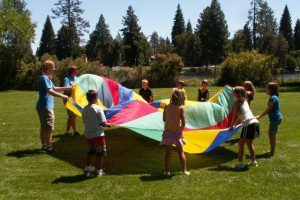 Campers can interact with peers in a group setting with individualized programs and direction from a life-skills coach. Activities Fee: $100, non-refundable to be paid in full by April 1st. If you would like more information please contact the Vice President at (208) 765-5105 or email at tjohnson@teshinc.com. Habilitation Intervention is a specialized service available to children with developmental disabilities who display challenging behaviors. Habilitation Intervention is a one-to-one individualized service whose objective is developing positive behaviors and skills through positive reinforcement; and through education and natural behavior replacement methods, strive to eliminate maladaptive behaviors, and the associated punishments and negative reinforcements which often result. The services are provided by professionals certified by the Idaho Department of Health and Welfare, and trained in Habilitation Intervention. Each Professional Service Provider has at least one thousand hours of experience working with children with developmental disabilities. If you would like more information about this service, please contact Tesh at (208) 765–5105 and ask for the Vice President or email tsjohnson@teshinc.com. Habilitative Supports is a 1-1 service for children age 4 – 18. Training is individualized to the child. Programs offered: Hygiene and Grooming, Appropriate Social Interaction, Safety, Independent Living Skills, Community Access, etc. Has gone through the Health and Welfare system and has a case manager through the state. Habilitative Supports Services are available in the community or at Tesh. This service is provided by trained Habilitative Support Staff that receive 40 hours of training prior to working with children and an additional 12 hours or more each year after that. Services are provided during the school year from 2:30 – 6:00 Monday through Friday. During the summer services are Monday through Friday 9:00 – 2:30. Schedules are individualized for each child.